Actually (18.10) I have the transparency on the panel as in this picture: but I would like to have no such transparency. Where can I adjust or remove it? Right-click the panel and select properties. 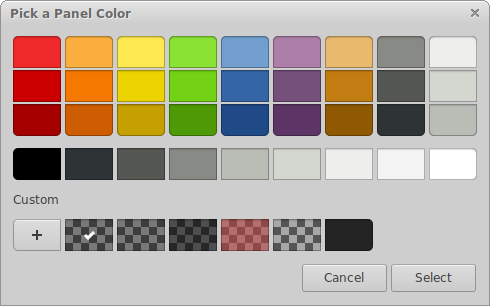 On the Appearance tab, solid color should be selected with the colour displayed below it. Click on that colour button. 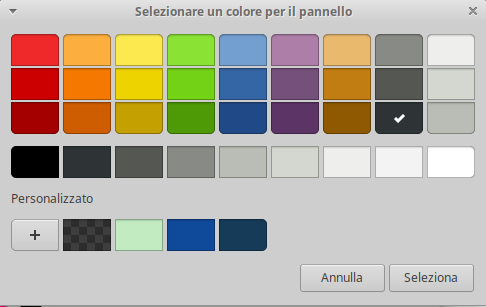 This will take you to the GTK3 colour picker dialog. This is new in the GTK3 version of Xfce4-panel (as is being used on Xubuntu 18.10). You can use the custom button to create a colour with transparency. That is what the default theme does. 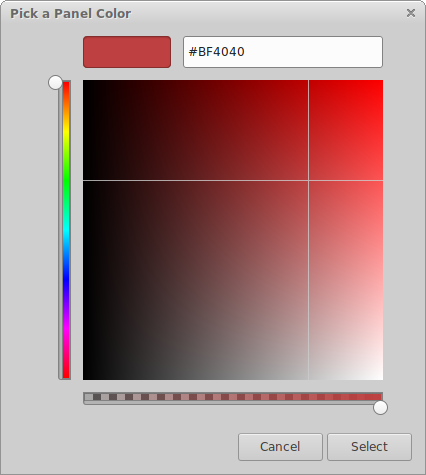 To remove the transparency, either select a solid colour from the top half of the dialog or click on the Custom (+) button to select a custom colour. Note: The bottom horizontal slider is the transprency setting. Make sure it is all the way to the right to get no transparency. ok, I've selected this color: https://i.imgur.com/HQ8UUXF.png and it works fine!